"I gave him the kind of funeral that he wanted, which as president I had to approve. I don`t care about this, I didn`t get a thank you." 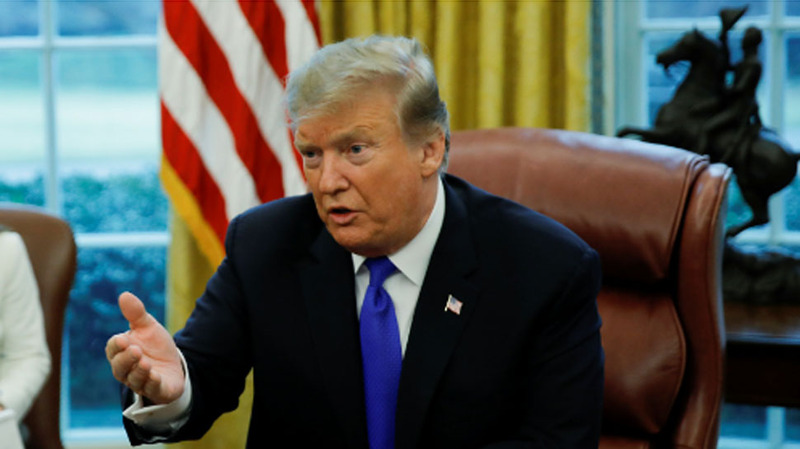 US President Donald Trump has attacked the late Senator John McCain, complaining that he "didn`t get a thank you" for his state funeral. "We sent him on the way, but I wasn`t a fan of John McCain," the President said during a visit to an Ohio tank factory, the BBC reported on Wednesday. "I don`t care about this, I didn`t get a thank you. That`s OK."
Trump approved the military flight of McCain`s remains from Arizona to Washington, but it was Congress that accorded the late senator the honour of lying in state. The US president said McCain "didn`t get the job done for our great vets and the VA" by refusing to repeal Obamacare and attacked him for "a war in the Middle East", in reference to the senator`s support for the Iraq War. "Not my kind of guy," the president said. "But some people like him and I think that`s great." On Sunday, Trump went after McCain again, saying the "last in his class" senator had sent "the Fake Dossier to the FBI". Asked by a reporter about his attacks while hosting the Brazilian president at the White House on Tuesday, Trump said: "I was never a fan of John McCain and I never will be."